Over a dozen police officers suffered fractured noses, jaws and collarbones in a massive brawl that broke out after protestors armed with wooden clubs, stones and Molotov cocktails tried to break into the Ukrainian Parliament. The eruption of violence between the law enforcers and the protesters, who set up camp outside the Verkhovna Rada demanding resignation of Ukrainian President, Petro Poroshenko, occurred early on Tuesday. 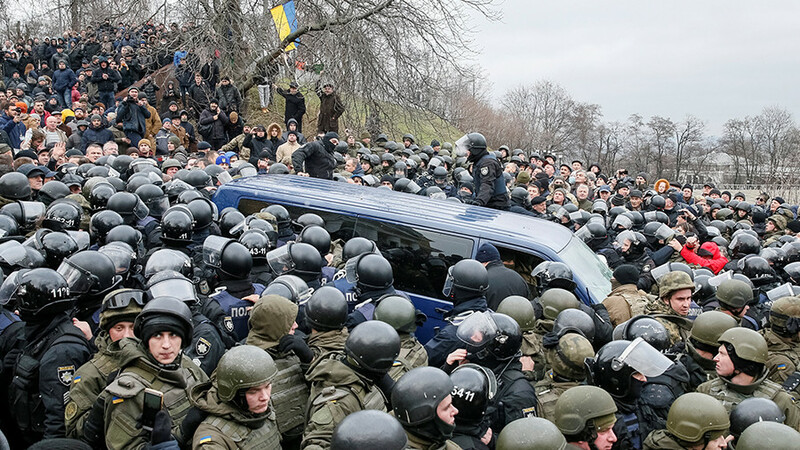 The crowd initially called for an audience with Parliament Speaker Andriy Parubiy, but when their demands were not met they attempted to storm the Rada building. 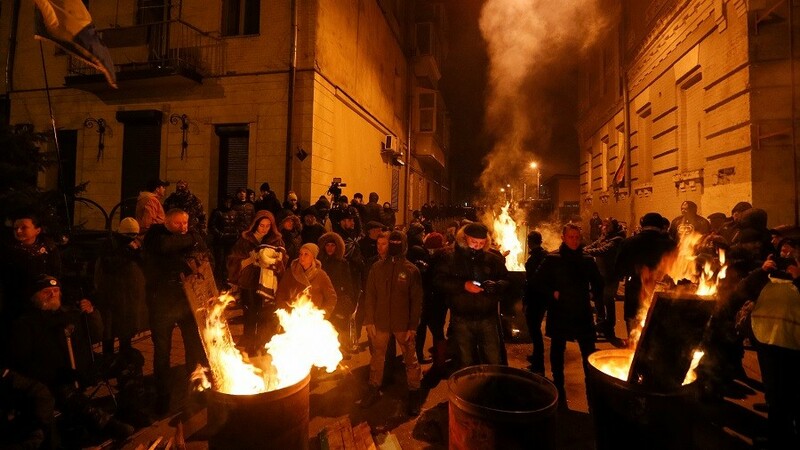 Witnesses say a huge medieval-style brawl began as the police tried to extinguish car tires that the rioters set on fire near the entrance to the Parliament. Police officers in full riot gear faced off against dozens of protesters who arrived well-prepared, carrying wooden clubs, stones, metal objects and Molotov cocktails. One of the sides also reportedly employed tears gas during the clashes. The assault on the Parliament was eventually repelled, but it came at a price for the law enforcers. Police said that officers suffered broken noses, jaws, collarbones and numerous bruises. 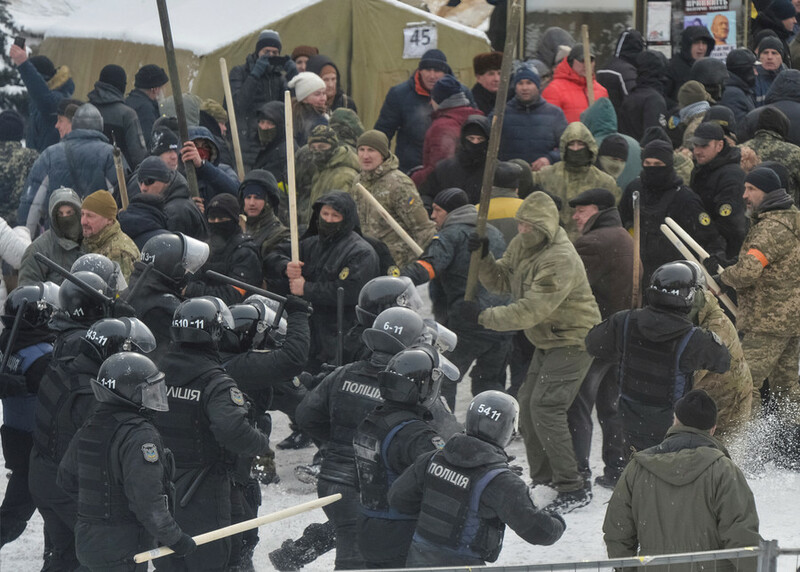 The number of injured policemen initially stood at 11, but then rose to 13, according to a Facebook post by Zoryan Shkiryak, an advisor for the Ukrainian Interior Minister. 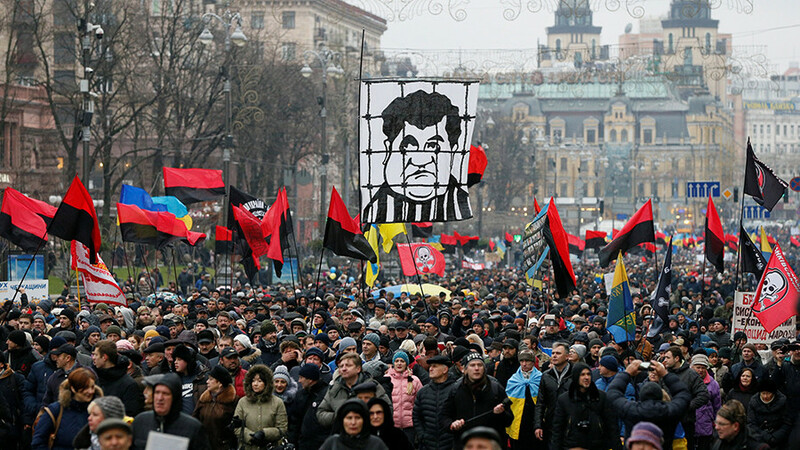 The protesters said that eight of them were injured, according to the Kyiv Post. 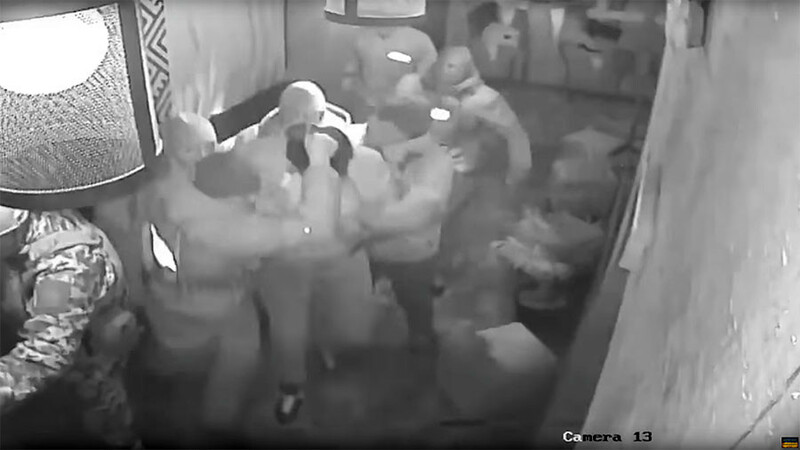 Shkiryak also said that nine people were arrested. The circumstances of the brawl are currently being investigated. The people camping outside the Rada are supporters of Mikhail Saakashvili, the wanted former Georgian President turned Ukrainian opposition figure. Saakashvili was appointed as the Governor of Odessa Region and granted Ukrainian citizenship by President Poroshenko in 2015. But their friendship was short-lived, as the political adventurer accused Poroshenko of corruption and called for his impeachment. 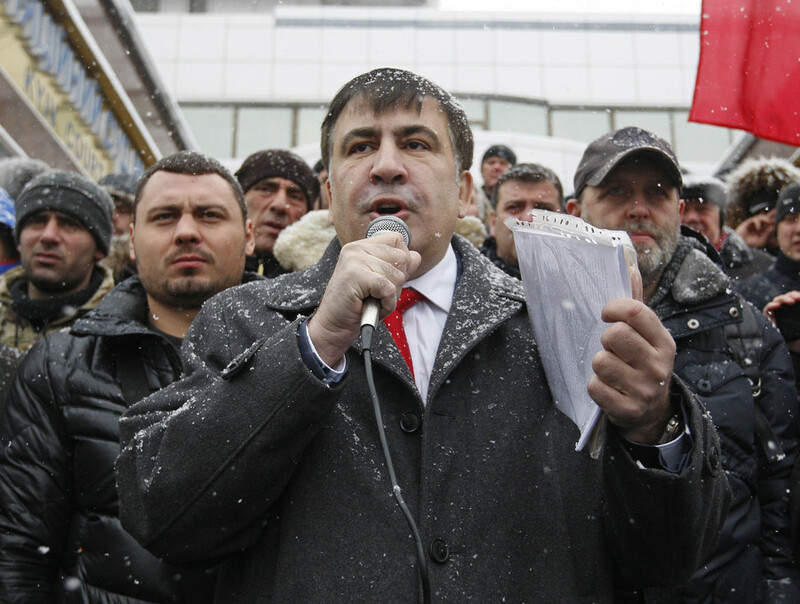 The standoff resulted in Saakashvili being declared a persona non-grata in Ukraine and he was deported to Poland in mid-February. However, he promised to find a way to return to the country.